"To see the world in another perspective" that's one of the reasons why I want to keep traveling that would sometimes means taking a different angle--literally. 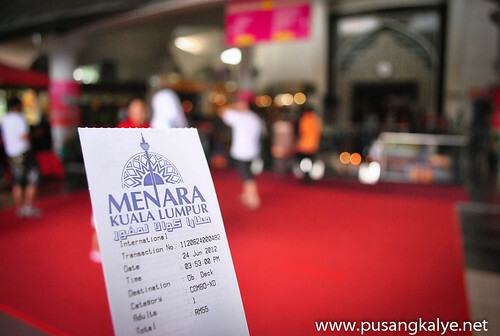 This was my last significant stop on the hop-on,hop-off bus, #2 on the route---KL TOWER otherwise known as Medara Tower. 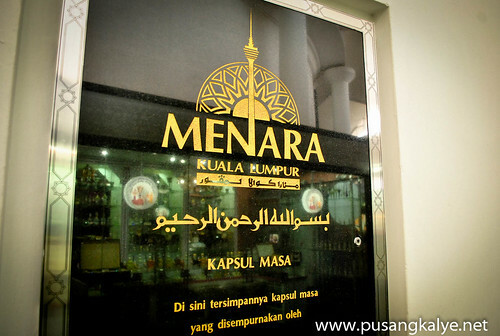 KL TOWER otherwise known as Medara Tower. My first tower experience was in Macau last year and I have been restless to climb the others. 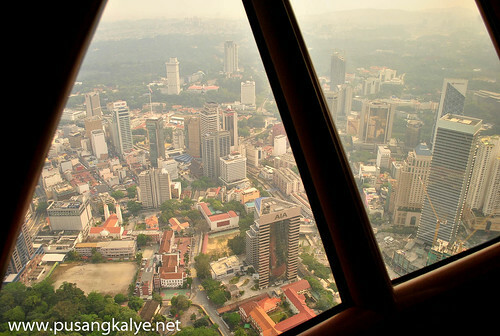 So KL Tower would mean my 2nd and interesting to note that each tower offers a unique view of the respective cities. 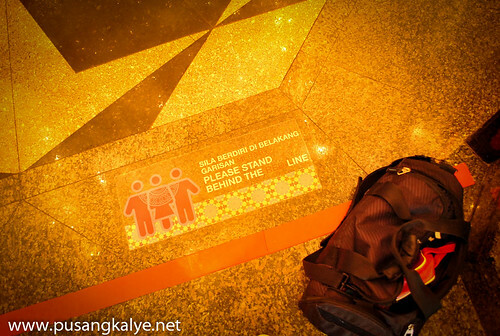 Actually, I almost failed to climb KL tower. 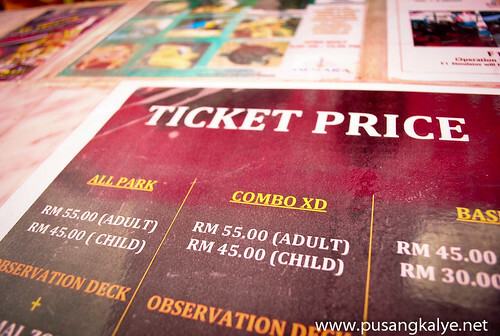 Entrance fee to the observation deck is around RM45 but I was out of the local currency. Good thing I found a money changer at the ground floor of Medara Tower. 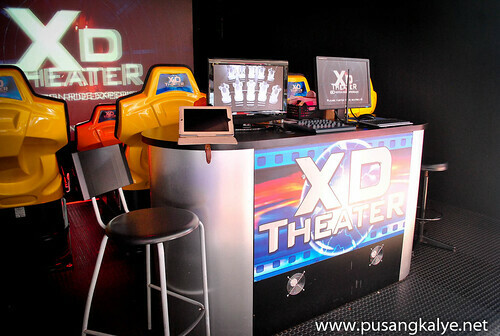 (Tuloy ang ligaya!! 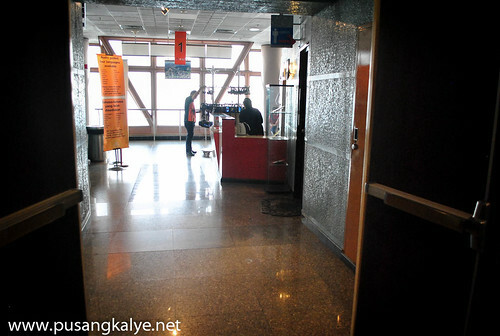 )It would have been a shame if I didn't go to the observation deck ayt?I mean, I have come this far. Come on! 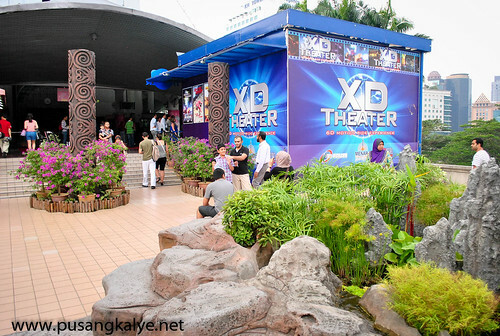 They have an ongoing combo offer that time, RM55 for a tour of the observation deck plus the XD Theater experience, that’s what I availed of.I went to the XD Theater first since its just near the ticket counter. 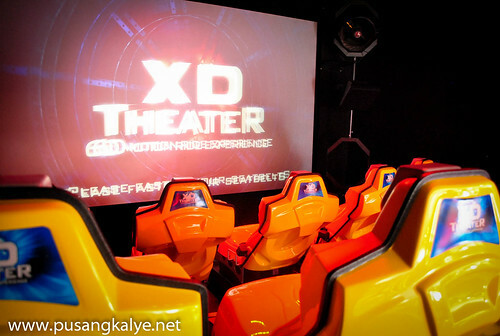 It was quick 6D motion simulated ride featuring Canyon Coaster. I would really say it was fun. The roller coaster ride with all the bumping and falling and the action of gravity felt so real.Except that it would make you feel immortal since there are so many near death scenarios like crashing into boxes or falling into a pit but you don't feel hurt at all. That’s the beauty of simulation. 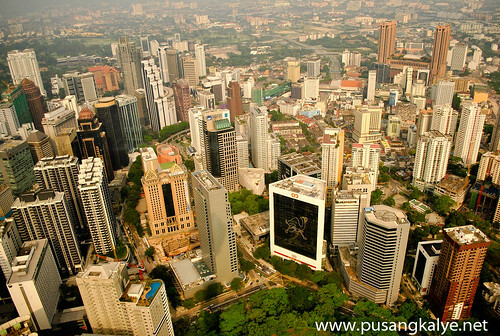 Menara Kuala Lumpur stands majestically at the top of Bukit Nanas, at 421 meters and 94 meters above sea level. 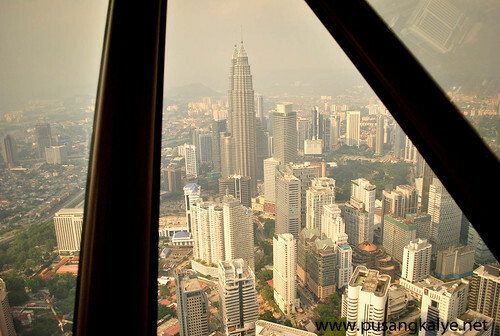 Commonly referred to as KL Tower, visitors will find that the tower has become a well-known icon in the city's skyline. It also ranks seventh amongst the tallest telecommunications towers in the world and was constructed over a period of four years, with architecture reflecting the country's Islamic heritage. The construction incorporates Arabic Scripts, Islamic tiles, classic Islamic floral with abstract motifs. 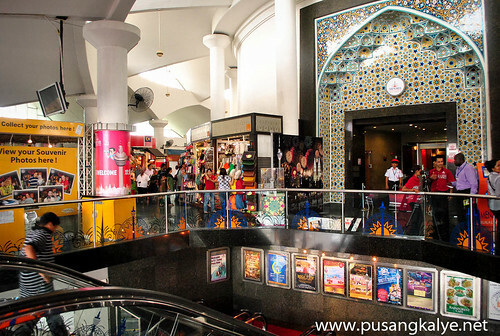 Besides the panoramic view, KL Tower has something for the city-dwelling, nature enthusiast. The verdant green surrounding Menara KL is the Bukit Nanas Forest - the only oldest gazetted forest reserve in the country. 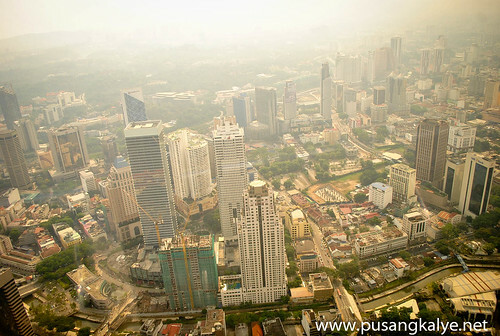 It covers an area of 10.05 hectares and is considered the 'Green Lung' of Kuala Lumpur. It is a sanctuary to a wonderful array of flora and fauna which is unique to our tropical nature. Going up the tower is very systematic.There are staff who will assist you even at the elevator.Once at the observation deck,be sure to ask for audio-video guide.It comes free so better take advantage of it.It gives an informative guide of Kuala Lumpur along with the attractions that should not miss.The Tower has numbered sections and the audio-video guide helps you get accustomed with the important landmarks of the vast city. The Petronas towers dominate the skyline but the surrounding building are equally imposing.I noticed that building in Kuala Lumpur are a beauty to look at,each having eye catching roof decks.I also noticed a lot of buildings under construction.Kuala Lumpur is expanding.A sign that the city is vibrant indeed.I envy KL's skyline.I think we need iconic buildings in Manila rather than the generic ones that we have and the more generic ones under construction.We also need a tower in Manila.I think it's high time we have one. 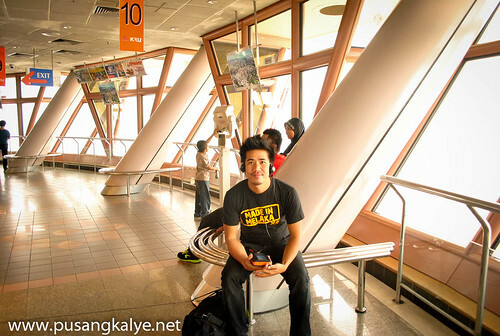 The observation deck is a little narrower compared to that of Macau but there's enough space for everyone nonetheless. 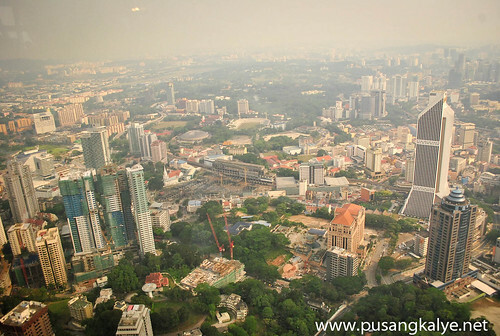 It was kinda hazy that day but the view was still amazing.I love looking at skyscrapers and what better way to see the cityscape of Kuala Lumpur that through the uninterrupted angle from KL Tower. 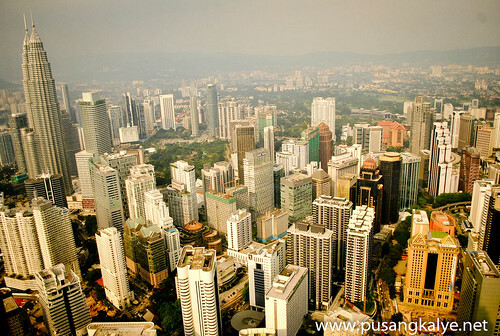 I am now convinced at how progressive Kuala Lumpur is,from the ground or from the sky.Climbing KL Tower gave me a clearer mental map of where things are and I pretty confident that I will not get lost in this city when I return. 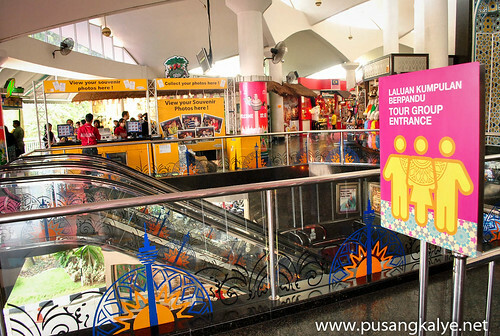 The KL Tower station is on the PUTRA LRT line (Dang Wangi station) or KL Monorail (Bukit Nenas stop). 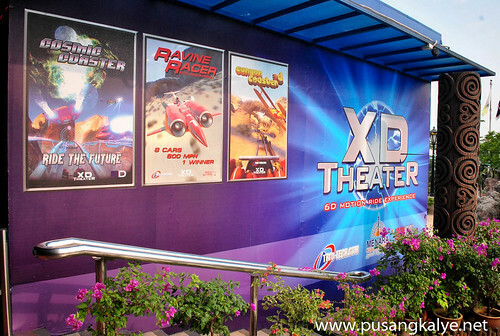 The free shuttle service runs every half hour from the main gates through the hilly forest to the Menara KL entrance. 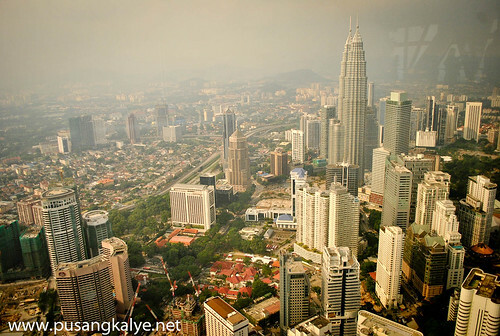 aha.. i'm going to introduce this blog to my filipino friends here, which they are gonna come here, KL soon. i'm definitely like the way you see stuffs here in malaysia. descriptive & thoughtful too. 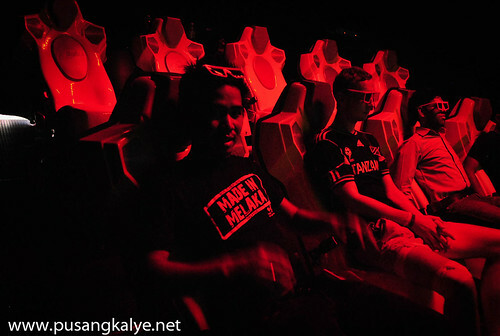 by the way you describing that simulator ride, i'm truly eager to ride that soon, along with my filipino friends.